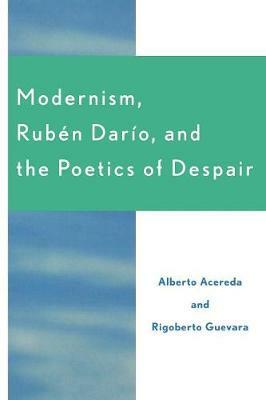 Modernism, Ruben Dario, and the Poetics of Despair presents a detailed study of a neglected facet of Ruben Dario, and in general, of Hispanic Modernism: metaphysical and existential dimensions as preludes to Modernity. Alberto Acereda and J. Rigoberto Guevara approach the life and death issues in Dario works with special emphasis on his poetry. The authors demonstrate how the Nicaraguan poet takes the first steps towards poetic modernity. The tragic component of Dario works are examined in the light of Nineteenth Century philosophy, especially the work of Arthur Schopenhauer. Various thematic proposals are also formulated for the study of the works of Ruben Dario.